The Chicken Swing for Happy Chickens. The World's #1 Chicken Toy! 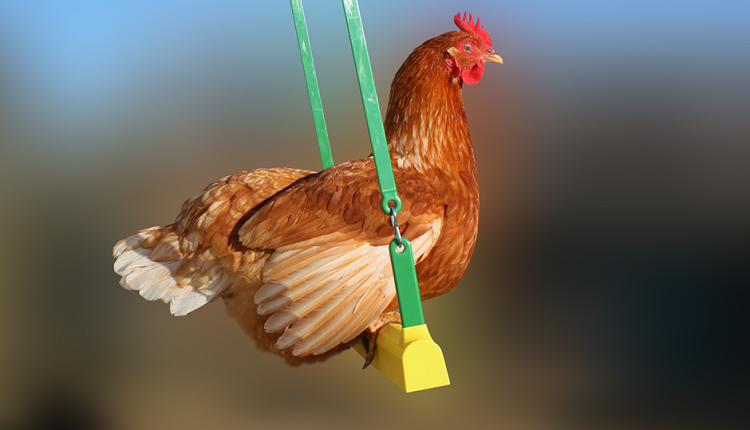 Yes, chickens love to swing! The swing is designed to enable the chicken to actually pump the swing. This is more than a hanging perch. End your fowl's coop boredom! 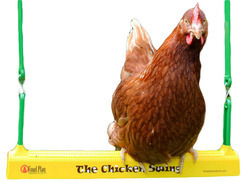 Fun for your chickens and fun to watch them swing. Made to handle all coop designs and conditions. Chicken tested and approved! Ours come with 2 FREE chicken Leg Bands with Charms. 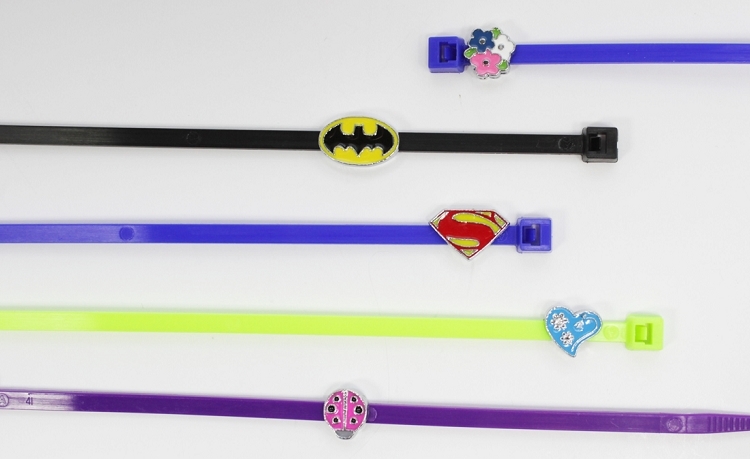 We'll be bringing you more Bling Charms for your favorite girls (or boys - Super Hero's) very soon. Be patient as we are waiting for our new charms with loads of BLING!